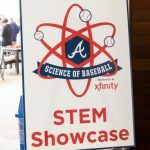 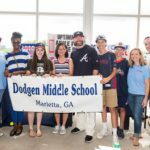 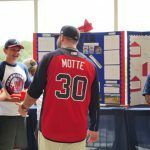 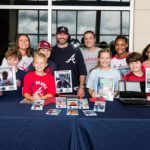 The Atlanta Braves Science of Baseball program, presented by Xfinity provides hands-on STEM curriculum and programming to 6th-8th grade level teachers and students in Georgia. 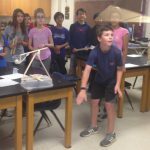 Increase student awareness of Science, Technology, Engineering, and Math (STEM) fields as a future education and career option. 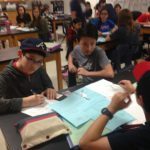 Establish a framework for sustainable change. 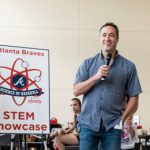 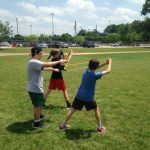 Development of the Braves Science of Baseball curriculum for 6th – 8th grade levels which included 15 lessons that focused on different STEM concepts. 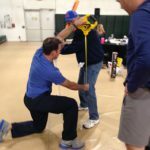 Hosted a Braves Science of Baseball teacher training for 25 teachers from Cobb County School District. 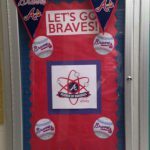 Provided a Braves Science of Baseball kit for every teacher. 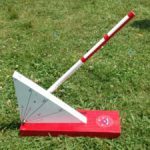 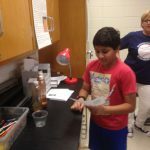 Developed a web portal that included all of the lessons, worksheets and additional resources for teachers to use in the classroom. 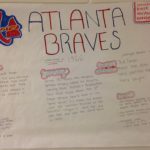 Developed a planning packet that included 4 Braves themed projects. 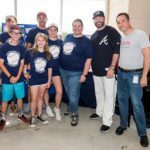 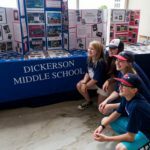 Supported the student showcase in which schools attended a Braves game to discuss projects on the concourse. 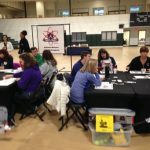 Provided an evaluation and assessment for those teachers who attended the workshop. 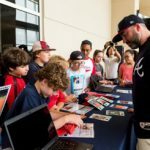 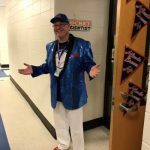 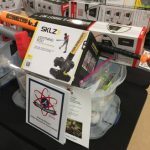 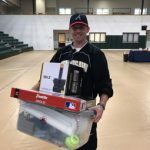 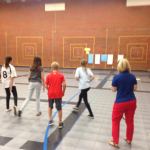 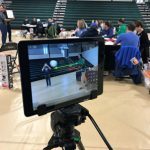 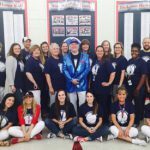 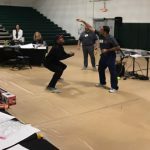 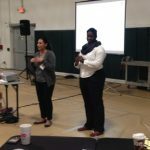 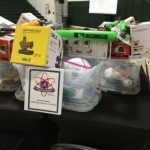 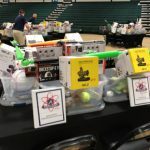 This unique professional development opportunity provided teachers with a hands-on Braves Science of Baseball curriculum and all of the materials and classroom kits needed to implement this interactive curriculum into their classroom. 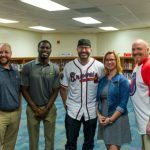 A big thank you to Braves and Comcast for making this opportunity available to Cobb County teachers. 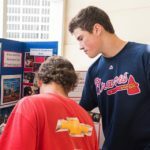 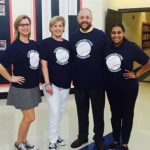 Schools that participated in the teacher workshop from Cobb County had the opportunity to attend the Braves game on May 20th to display the projects they had been working on over the past two months. 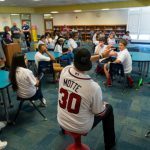 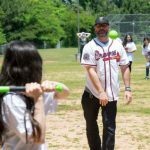 During that two month period, Atlanta Braves representatives and players were able to visit the schools to see the implementation of the Braves Science of Baseball program.